Cochlear implantation: Who is a candidate in 2018? 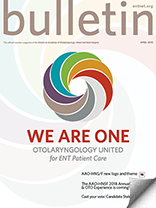 Awareness of cochlear implantation and its benefits in treating severe to profound hearing loss is lacking among the general population and even among healthcare professionals. Estimates note that less than 15 percent of primary care physicians perform any hearing screening, highlighting the vast under-appreciation for the disease. Despite strong evidence that untreated hearing loss has been associated with higher rates of dementia, less than 10 percent of primary care physicians fully understand CIs (Lin, 2012). Unlike many other health issues such as heart disease, there are not any major campaigns about CIs, let alone hearing loss. As such, hearing loss is viewed as an inconvenience more than a disease. Finances directly influence access to cochlear implantation. Unlike hearing aids, which are typically not covered by health insurance, cochlear implantation is covered for appropriate candidates by most private health insurance plans, Medicare, and Medicaid. While studies have shown the cost-effectiveness of CI programs (McKinnon, 2014), declining reimbursement to hospitals and surgeons strains any efforts. It is not atypical that insurance does not cover the full extent of the cost of a device, leaving the hospital to struggle to make up the difference. While general awareness and financial considerations hamper cochlear implantation, referral patterns are further complicated by the strong emergence of the deaf community in the United States. While the deaf community promotes early use of sign language for all children, there is a large percentage of this group still wary of embracing CIs for infants for hearing loss. Knowing candidacy requirements in patients and knowing when to refer for CI evaluation is one way we can improve accessibility and awareness of this technology to the vast number of patients who may benefit from CI but have not yet considered it. Currently, in adults, CI criteria revolve around if the individual will receive more hearing benefit from a CI than from a hearing aid or, alternatively, from no hearing prosthesis at all. Current guidelines in adult criteria consist of a severe to profound loss with open-set sentence recognition scores of approximately 50 percent to 60 percent words correct. Pediatric cochlear implantation received FDA approval in 1989, and since that time, criteria for implantation in children have remained fairly static. According to current FDA criteria, the indications for cochlear implantation are bilateral profound sensorineural hearing loss for children ages 12-24 months and severe to profound hearing loss for 2-17 years, along with limited benefit from amplification, including minimal or no progress on age-appropriate auditory skills development with appropriately fit and verified hearing aids. Many pediatric centers will now recommend implantation for children younger than 12 months of age as well as children with asymmetric or residual hearing. 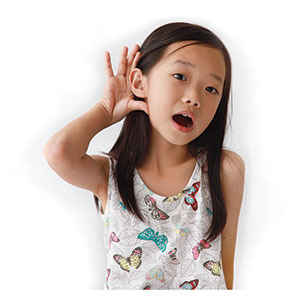 Even if children may not exactly meet strict audiologic criteria, if there is limited progress despite adequate use of hearing aids and speech and language therapy, the child should be referred for a CI evaluation. Studies have shown that children outside of traditional criteria are benefitting from the technology with appropriate support and therapy (Carlson, 2015). Consideration of a CI in a child is much more than just meeting audiologic criteria. Most pediatric CI centers have a multidisciplinary approach to evaluation and management of a child with hearing loss. Along with a medical and surgical evaluation, imaging and balance testing may be done to evaluate the patient prior to implantation. Consultation with genetics, pediatric ophthalmology, and a speech-language therapist may be offered. Initial assessment by a speech therapist and then monitoring of speech and language development before and after implantation is necessary. A thorough discussion with the family regarding expectations and goals is crucial prior to implantation. Cochlear implantation has been shown to have significant improvements on the quality of life in children and adults (Efrat, 2009 and Mo, 2005). An understanding of evolving technology and expanding candidacy indications is crucial for increasing availability and awareness for patients who would benefit from this technology. Despite the shortcomings associated with accessibility, cochlear implantation is becoming increasingly popular, and leading indicators predict increasing surgeries in upcoming years. Margaret Barnett, BS; Brian Hixon, MD; Neville Okwiri, MBChB; Catherine Irungu, MBChB, MMED, ENT; John Ayugi, MBChB, MMED, ENT; Robin Thompson, MPH; Jennifer B. Shinn, PhD; Matthew L. Bush, MD. Factors Involved in Access and Utilization of Adult Hearing Healthcare: A Systematic Review. The Laryngoscope 2016. 1188-95. McKinnon, B.J. Cost effectiveness of cochlear implants. Curr Opin Otolaryngol Head Neck Surg. 2014 Oct;22(5): 344-8. Lin, F.R., Metter, E.J., O’Brien, R.J.S., Resnick, M., Zonderman, A.B., Ferrucci, L. 2012. Hearing loss and incident dementia. Archives of Neurology, 68(2): 214–220. Carlson, ML, Sladen, DP, Haynes, DS, Driscoll, CL, DeJong, MD, Erickson, HC, Sunderhaus, LW, et al. Evidence for the expansion of pediatric cochlear implant candidacy. Otol Neurotol. 2015; 36(1): 43-50. Efrat A. Schorr, Froma P. Roth, and Nathan A. Fox. Quality of Life for Children With Cochlear Implants: Perceived Benefits and Problems and the Perception of Single Words and Emotional Sounds. Journal of Speech, Language, and Hearing Research, February 2009, Vol. 52, 141-152. Mo, Birger; Lindbæk, Morten; Harris, Sten. Cochlear Implants and Quality of Life: A Prospective Study. Ear and Hearing: April 2005, Vol. 26, Issue 2, 186-194.